This week features Pam's version of Chopin's Mazurka in G Minor, Op. 67 No. 2 and Wendell's "Evening Approaches." About this collaboration: Pam says: "This mazurka is an example of the kujawiak type of mazurka - slow and melancholic- from the Kujawy region of Poland. One of my favorite things about it is that Chopin interrupts the main melody with a mournful little solo line for right- hand only, before returning to the main theme." Wendell says: "I chose 'Evening Approaches' to accompany this mazurka because I think this bleak landscape visually echoes the slow, melancholic nature of the piece. I pared the short, blues-like right hand solo melody with a focus on a relatively empty section of the horizon in the left-side of the painting, visually reflecting the spare, mournful character." Please enjoy and share with your friends! 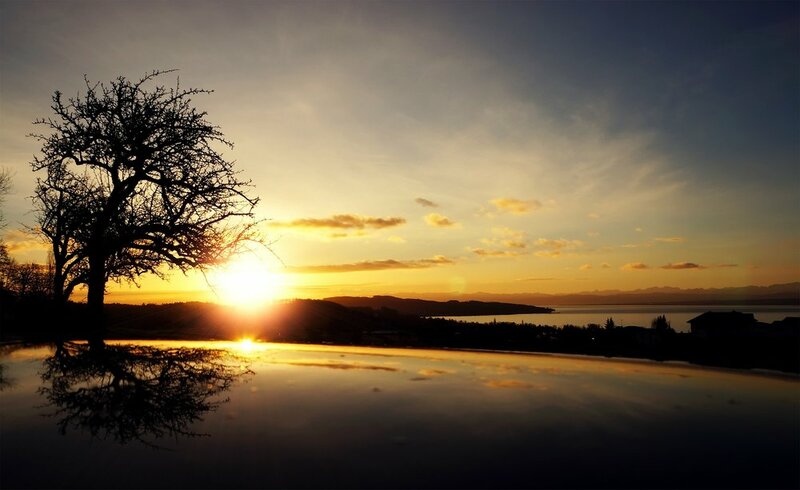 Welcome to Week 2 of our challenge - to combine our talents to deliver a regular moment of beauty to you in 2019. This week’s "Moment" features Mazurka in B Minor, No. 19, Op. 30 No. 2 by Chopin in a one-take musical performance by Pamela Howland The painting by Wendell Myers is “Ridgeline with Red Trees.” (acrylic on canvas, 30 x 30, www.wendellmyers.com). Please enjoy, share, and have a great week! Happy New Year and welcome to 2019! We are taking on the challenge of combining our talents to deliver a regular moment of beauty to you in 2019. Each "Moment" will feature a one-take musical performance by Pamela Howland and a painting by Wendell Myers. This week features Chopin's E Minor Mazurka, Op. 17 #2 paired with "Mountain Mists." (acrylic on canvas, 20 x 40, www.wendellmyers.com). Please enjoy and share! As my way of thanking you for following my blog this past year, I wanted to share with you a simple little one-take version from my living room of “Silent Night.” May you find peace, calm, love, and joy as we turn back to the light. It is with great sadness that I write about the passing of my fellow Fulbrighter, Michael Gilmor - just short of his 23rd birthday. Michael was with us in Poland this past year, and easily was one of the brightest, kindest, most caring and giving people we ever met, in a group full of exceptional people. He also met the love of his life, fellow Fulbighter Briana Krewson, during this past Fulbright year, and they had a glorious time together. In their honor I have composed a piano piece that invokes that Polish żal I am always talking about - the beauty and sadness of things that have been lost to us. But, Michael's spirit lives on in the countless people whose lives he touched in his short life, as well as in this music- "Golden Summer (Michael & Briana's Song)". It is now available on Spotify for free listening, as well as on CD Baby and Amazon, for download purchase (links below). Proceeds will go to the Michael Gilmor Scholarship Fund. Please listen to this piece to honor the beautiful life of Michael Gilmor. My hope is that this music brings comfort to his family and Briana, all who knew and loved Michael, as well as anyone who has lost someone they love. It is hard for me to believe not only that I have finished my Fulbright grant for 2017-18 at Adam Mickiewicz University in Poznan, but that I have now been back in the U.S. for two weeks. .As a means of thanking all who made this possible and as a way for me to try to absorb this momentous last year, I would like to share some of my thoughts with you (and pictures too!). The words that come to mind in describing this experience are life-changing, amazing, inspiring, and challenging - sometimes very challenging! But, this will always be one of the great highlights of my life. Being the only musician in the English Faculty (WydziałAnglistyki) at Adam Mickiewicz University took some initial adjustment, for sure, but it proved to be a wonderful and meaningful year. Through the Dean, Professor Katarzyna Dziubalska-Kołaczyk 's invitation to take part in this interdisciplinary experiment, I functioned as a sort of resource person or artist-in-residence, and this gave me contact with so many more people, than if I had just been in one classroom. I would say that this innovative, cutting-edge approach to learning was a remarkable and deep experience which was a “win” for everyone involved. 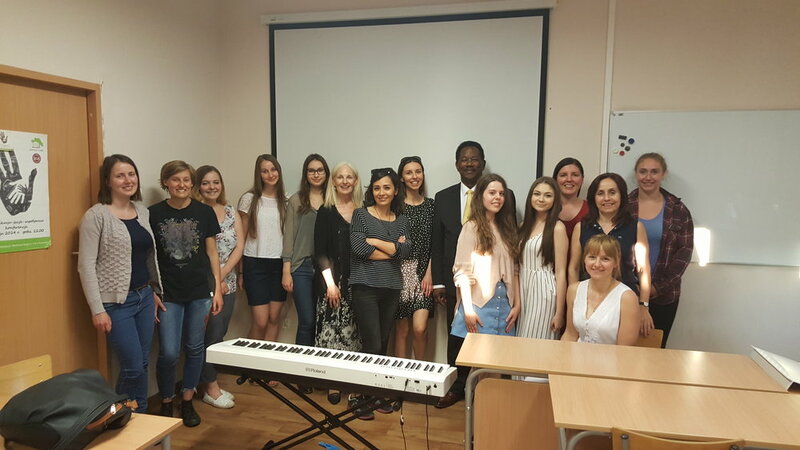 Due to the flexibility of the Fulbright program and the Dean herself, I was really able to do everything that I had hoped to - teaching about American music and culture, continuing my research on the great Polish pianist and composer, Frederic Chopin, in his home country, and performing concerts. But, in addition to these things, I had no idea before I went to Poland that I would be able to present an extra 35 performances, lecture-demonstrations, workshops, and conferences in 8 Polish cities and even in 1 other country, Denmark. This was truly exciting for me. Specifically, in the English faculty, I taught two classes on American music and culture, "The Musical Legacy of Immigration," and "Music and The Movies." My WA students were great, the courses were a lot of fun to teach, and I believe and hope that I helped increase the students’ understanding and awareness about the American music and film culture that they love so much. I was also able to give a huge variety of other presentations, usually involving me taking my keyboard along so I could demonstrate how music, language, and culture intersect. I did things like visit graduate seminars, first-year English classes, the Culture Vultures Club and the Language, Gender, and Sexuality Club. I also played the English Faculty Christmas party, several faculty recitals and lectures, and participated in American Education Week. But, the thing of which I am most proud and which has most meaning for me is that - through music - I was able to reach hundreds and hundreds of Polish people. I was able to visit Polish primary and secondary schools, play several U.S. Embassy events, form a choir with some of my fellow Fulbrighters, and even play a concert in the unlikely and unusual venue of the Stary Browar shopping Mall in Poznan! All of this reconfirming for me that music truly is the universal language. Most importantly, this Fulbright year and my Adam Mickiewicz experience has reaffirmed for me the great power we have as individuals to reach out to people across the world to find our similarities and the things that we share in common. This is needed now more than ever in this world. 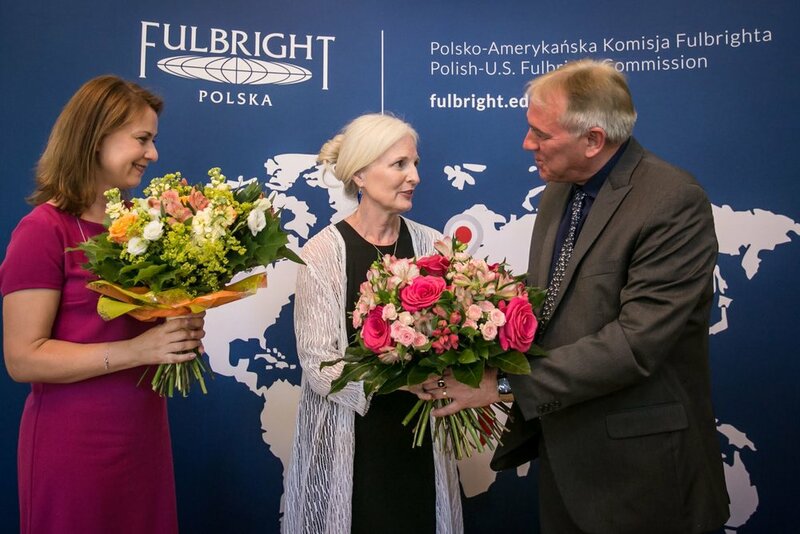 I would like to thank the Polish-U.S. Fulbright Commission, Dean Dziubalska-Kołaczyk, and especially you, my readers, for going on this journey with me. Below you will find some photos from May and June, including the memorable Fulbright Graduation Ceremony on June 8. 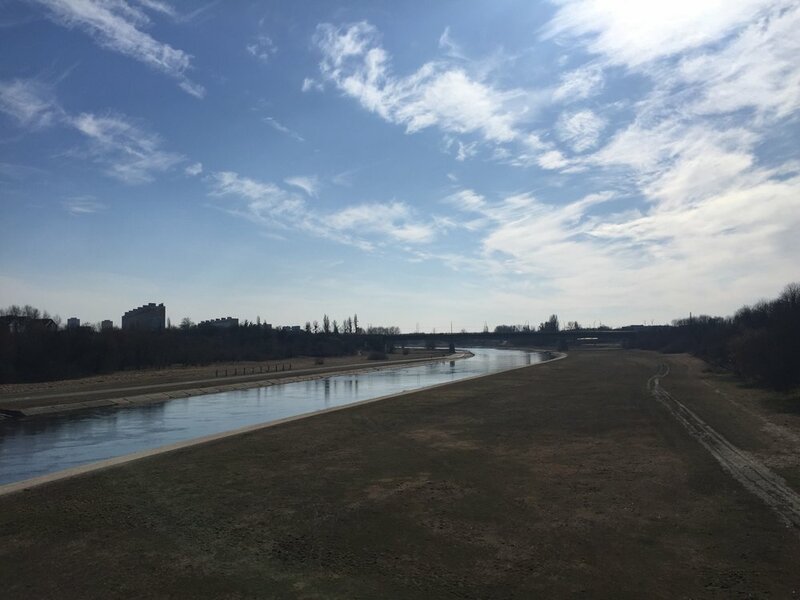 Poznan Spring, 2018. View on the River Warta, behind our apartment. The famous Poznan Mural on the side of a building. Two different groups on May 21 visit to Katolicka Szkoła Podstawowa i Liceum, Poznan - high schoolers, and dancing 4th-6th graders. Playing for the English Faculty Graduation at AMU, May 26. Images from May 28 "A Fusion of Two Musical Worlds" concert at AMU Aula, with Stan Breckenridge. I presented at the "Nostalgia in Contemporary Society" Conference at the University of Southern Denmark in Odense, on June 3-4, and we loved Copenhagen also: mural on the side of a building en route to Odense, rhubarb and asparagus in a market, and the Copenhagen Opera House. On June 10 I had the honor of playing a concert at the Piotr Janowski Festival in Grudziadz, Poland. I played solo and four-hand with Piotr's widow, pianist and Frederic Chopin University of Music Professor, Joanna Maklakiewicz, in a beautiful park named after my former beloved chamber music professor. June 17, on my last research trip in search of Szafarnia. The town is close to Torun, and the scenery was not only beautiful but took us back in time. This is where Chopin spent his summers when he was 14 and 15 and where he learned so much about mazurkas. 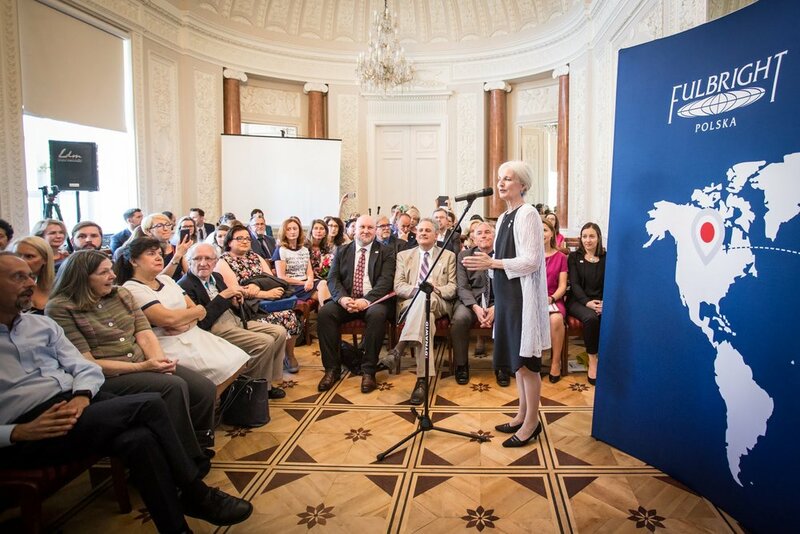 On June 8 we celebrated Fulbright Graduation. 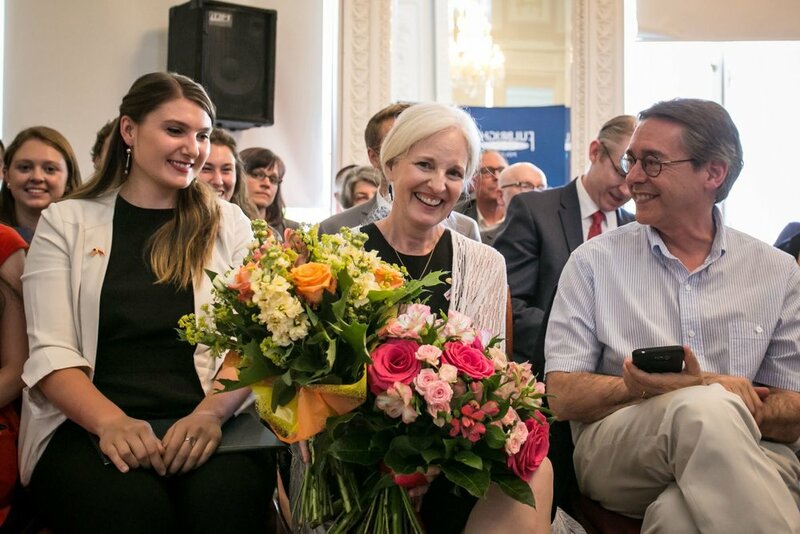 I had the honor and pleasure of being in Poland this year with about 35 other Fulbrighters who are not only wonderful human beings, but brilliant and talented, too! 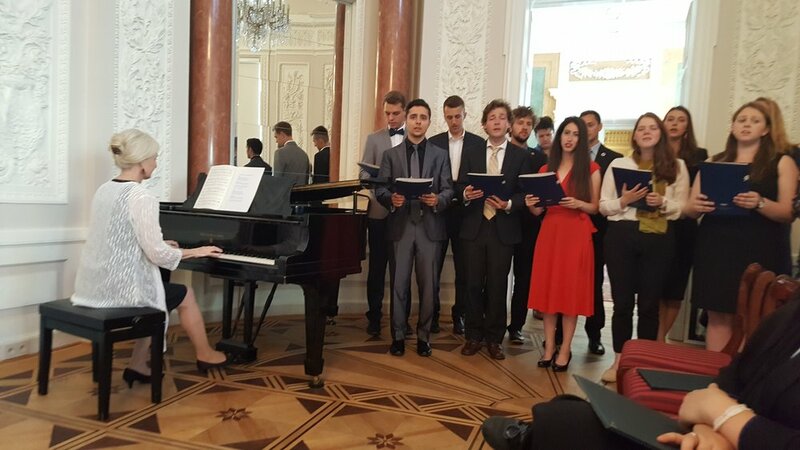 We performed music, accepted diplomas from Justyna Janiszewska, Director of the Polish-U.S. Fulbright Commission, Alesander Danda, Polish Ministry of Science and Higher Education, and John C. Law, U.S. Embassy Warsaw. And finally, we spent our last time together - especially our little Polish family, including, Sasha Whitaker, Olivia Schimmel, Wendell Myers, Deanna Segal, and Hannah Gill. We have definitely made some new friends! Easter comes to a market in Poznan, March 2018. As I write this, spring has begun coming to Poland and it is welcome! The last 3 months – January, February, and March have reminded us of the power of wintry weather in the North. Having grown up in a very similar climate to Poznan, but then having lived in the South for 30+ years, it has been a challenge for us this year. Having made it to April, we are now confident in the joy of the rest of the Fulbright experience, with just 11+ weeks left. “Do you speak other languages,?” These questions were put to me by brave and serious students! And finally, I was gifted with a beautiful bouquet at the end of my time there, along their wonderful original art renditions of me playing the piano. The Polish University system has a very different calendar than the U.S. system. Nearly the entire month of February is an exam period and a holiday time. 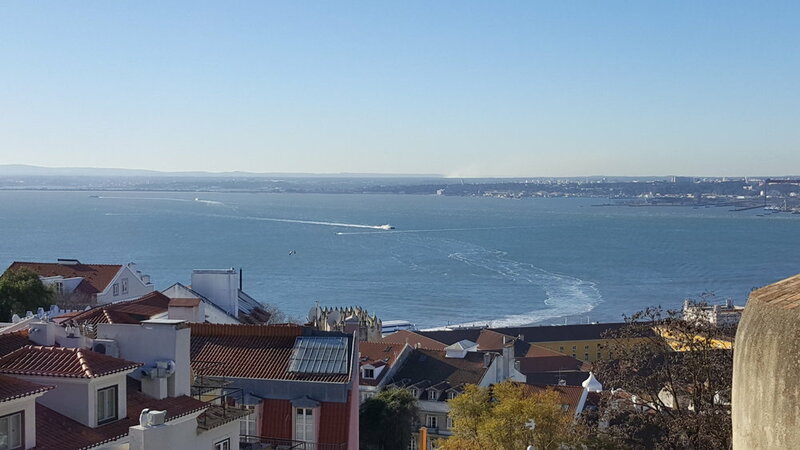 So, we took advantage of this for a needed 5 day vacation to the enchanting (and warmer) Portugal. This was our first of many visits, we hope! 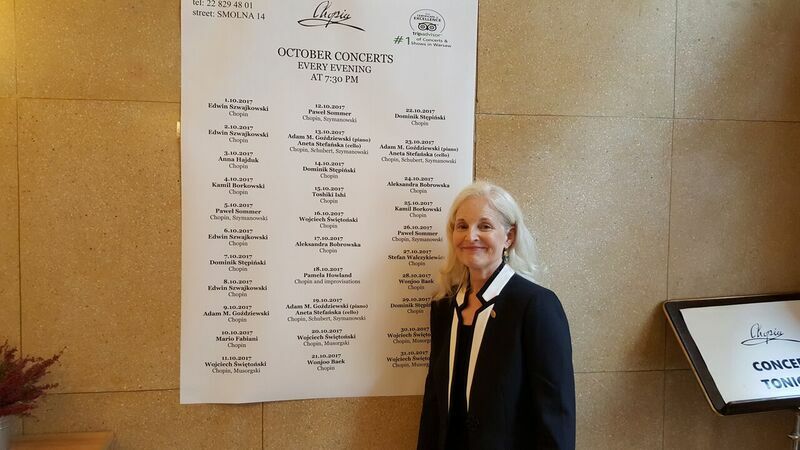 At the end of February, I performed at the 9th edition of the annual Chopin Birthday Concerts festival in Warsaw. 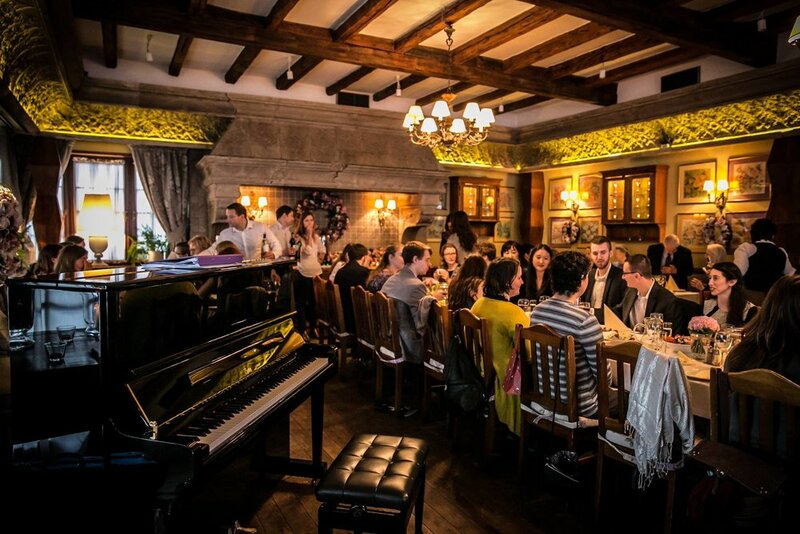 Following a solo concert on February 26, I had the fun of performing some 4-hands with fellow Fulbright chemistry scholar and pianist, Jiwon Park. *** In addition, my new class on American Movie Music began, and I am able to share my love of great movie music over a chronological survey of wonderful movies/scores spanning “The Wizard of Oz” to “Dunkirk.” In late January, we traveled to Sopot/Gdansk up on the Baltic, to see a screening of “The Lord of the Rings: The Fellowship of the Rings,” complete with full symphonic orchestra and 100 piece choir rendering Howard Shore’s accompanying score live. It was a wonderful way to prepare for my class! *** Pictures from these***events appear at the end of this blog! 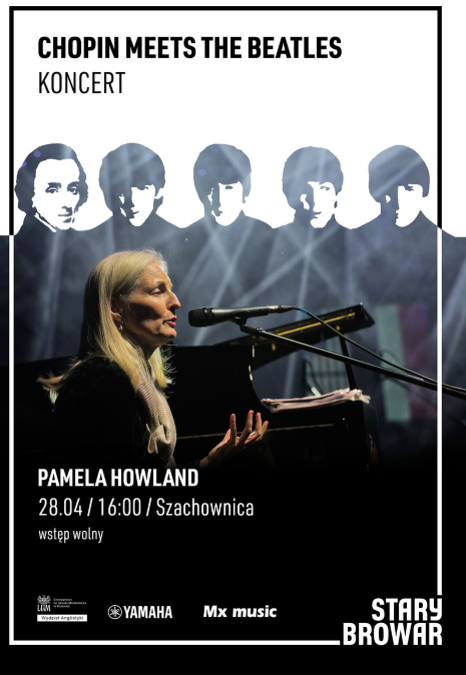 On March 8th, I gave a Distinguished Faculty Recital for the Faculty of English at Adam Mickiewicz University, Lubranski Hall. The hall was packed with both older and younger listeners coming together to hear my combination of Chopin and The Beatles. I was humbled and delighted by their enthusiasm, the beautiful bouquets, and the attendance of some of my little students from Lubon. What a wonderful audience! I greatly look forward to many more exciting events for the last part of my Fulbright, but am also aware that I will be missing some parts of Poland when I return! Stay tuned for more spring updates to follow. 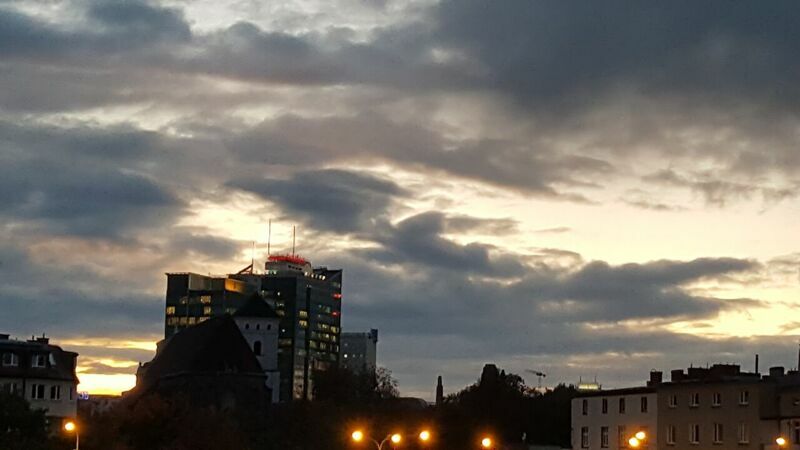 Two views from our apartment in Poznan, March 2018. Sopot, Poland - snow on the Baltic beach, January, 2018; Solo Concert, Warsaw, February 26th, 2018; Fulbright Reception after Concert on February 28th, 2018 with Jarek Cholodecki and Jiwon Park (Fulbright student scholar). I had the great honor of performing at the 100th Anniversary of the Fourteen Points Address, 2018 Warsaw, Poland on Monday, January 8th. This is the important moment-100 years ago - in Polish history when American President Woodrow Wilson put forth these points, #13 being that there should be an independent Polish State - thus bringing back sovereignty to this beleaguered country. At this event, the U.S. 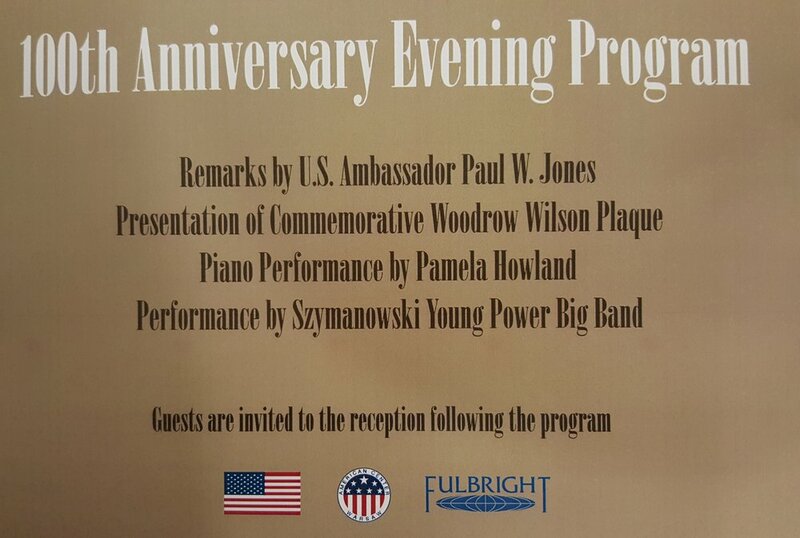 Ambassador, Paul Jones, presented a commemorative Woodrow Wilson Plaque, and there was a concert of music from the 1930s and 1940s. I performed the famous Paderewski "Minuet," as well as Gershwin's "Summertime," 1935, and Harold Arlen's "Over the Rainbow," 1939. Paderewski was not only an important and beloved virtuoso pianist, but he was also a diplomat politican, serving as prime minister in 1919 for the newly sovereign Poland. Although Paderewski had written his famous "Minuet" in 1877, he was featured - 50 years later - performing this hugely popular composition in a 1937 film called "Moonlight Sonata." Can you imagine having a "hit" song that lasted more than 50 years that you were continually being asked to perform? Clearly Paderewski's musical ability did as much for peace and harmony as his did his diplomatic talents. Also featured on the concert was the Szymanowski Young Power Big Band. This was a wonderfully gifted group of high school youth with an amazing and mature sound. They are going places! What a great way to start the new year. My Fulbright continues with many exciting challenges and as always, I feel honored to have this opportunity to learn more about both Poland and America. In December and January I also had wonderful experiences meeting and performing for Polish people - for colleagues at the University of Gdansk at the 2nd International Memory, Melancholy & Nostalgia conference, and students at 3 locations- university students in Warsaw, high school students in Sopot, and 70 6th-graders in Poznan. HAPPY NEW YEAR TO ALL - may 2018 bring peace and harmony to our world! 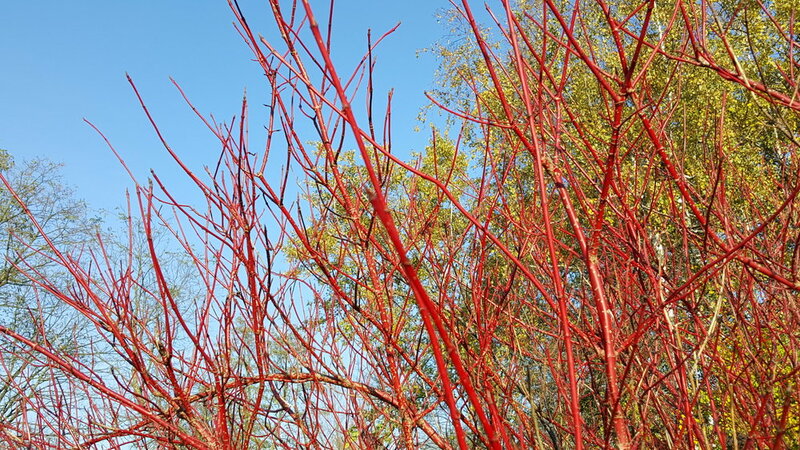 We began the month of November with a trip to the Poznan zoo on November 5 with beautiful Fall weather. Since then, we have had to accept the fact that for the next while it is colder and sun is going down at 4:00 - and we are still a ways away from the shortest day of the year! HOWEVER, the bright news is the work and people here! 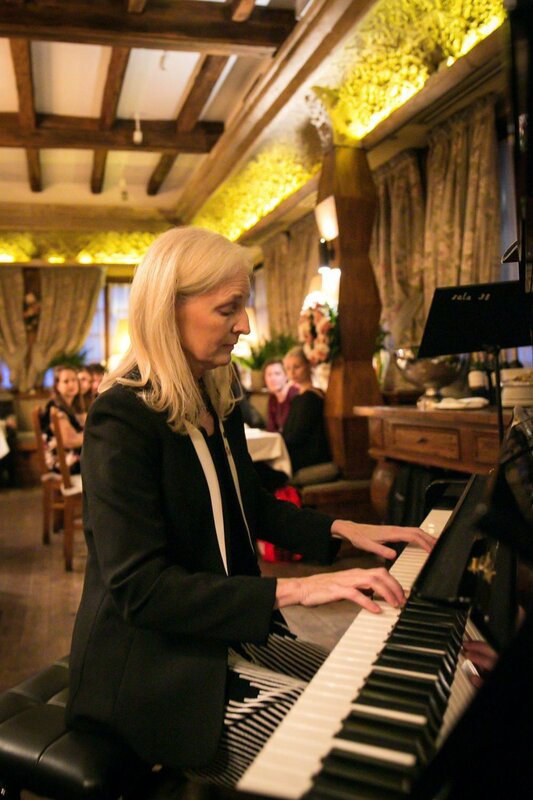 Recently, I have traveled to Leszno on November 16 to perform at a high school and participated in 3 Thanksgivings by coordinating musical entertainment including my solo piano music, accompanying singers, and leading a choir! 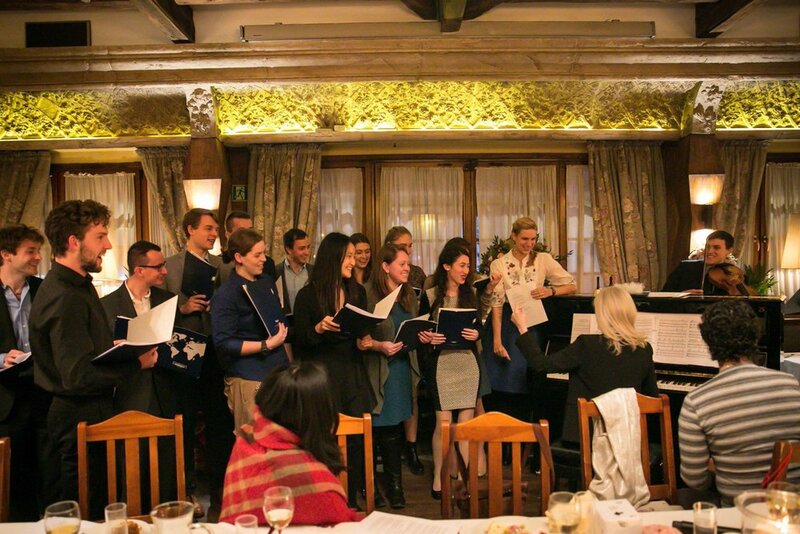 The 1st event was at 1:00 p.m. on November 23 at the beautiful old Stary Dom restaurant in Warsaw , hosted for Fulbrighters and guests by the Polish Fulbright Commission. It was a beautiful and delicious Polish take on the Thanksgiving meal. The 2nd event was at 6:30 p.m. that same night at Nowy Swiat Muzyki, hosted for friends of Poland and America, thanks to the creator of this annual event, Jarek Cholodecki. We Fulbrighters presented another program, and got an additional delicious take on the the Thanksgiving meal. 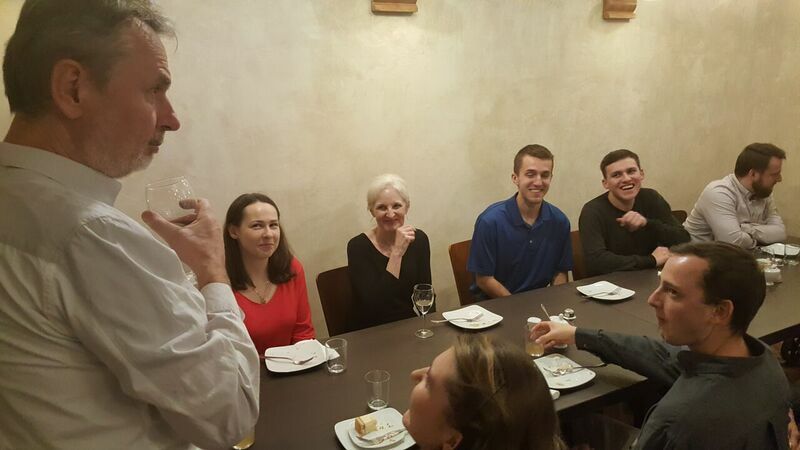 On Monday, November 27 we traveled to Krakow (a six hour train ride from Poznan) and participated in the U.S. Consul General's Thanksgiving, held at his residence. Again, it was a wonderful meal and a thoroughly American celebration. It was so gratifying to be making music at these events. Having young and old singing together in celebration of Thanksgiving, followed by a musical start to the holiday season was very special to those of us far from home. What a reminder that we all have so much for which we can be grateful! Wishing you a beautiful December from Poland. OCOTBER in POLAND has been intense, busy, wonderful, and full of new experiences. 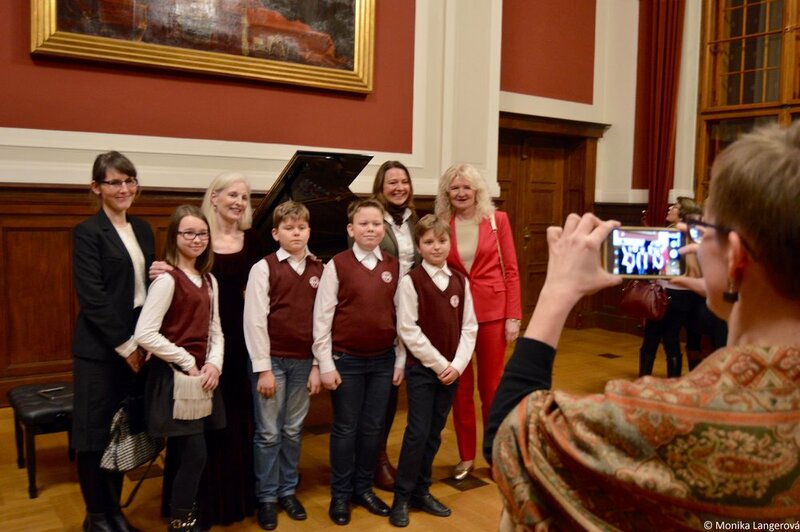 Sharing music with audiences and students here in Poland has been the familiar experience and it acts as a sort of anchor. Teaching started on October 3 with my undergraduate seminar called "The Musical Legacy of Immigration" - about the origins of American music. I have a great class of 20 interesting students. 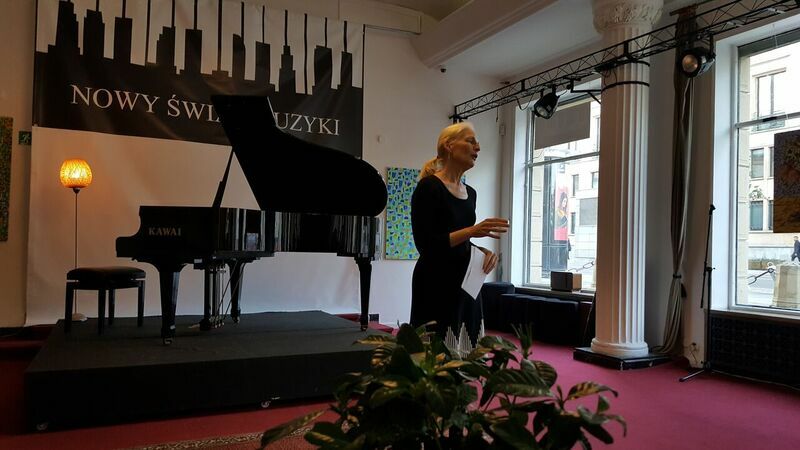 During the 2nd week of October we went to Warsaw, and I had two performances there on the 16th and 18th; the first at Nowy Swiat Muzyki and the 2nd at the Chopin Salon, where a lot of the Warsaw Fulbrighters were in attendance. 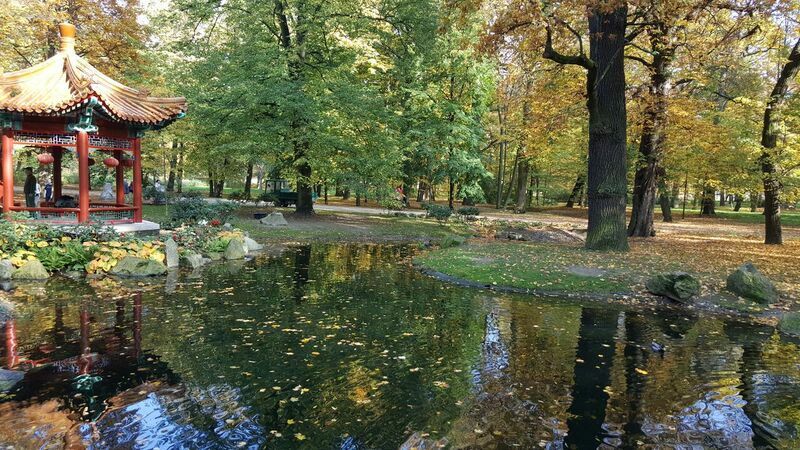 On my day off we had a wonderful time seeing the "golden leaves" at Łazienki Park, where the famous summer Chopin concerts are held. On the 24th I had the great opportunity of giving a lecture-performance for the CULTURE VULTURE club of the English Department at my university, Adam Mickiewicz in Poznań. My presentation was called "NIGHT MUSIC: Perspectives on the work of Frederic Chopin and Kazuo Ishiguro." IN GETTING READY FOR THE FULBRIGHT there was so much preparation this past summer - lectures and classes, my music for performances, getting physicals and shots and doctor/dentist visits, seeing friends - that we didn't give too much thought to the idea of what it would be like to live in Poland for nearly a year. 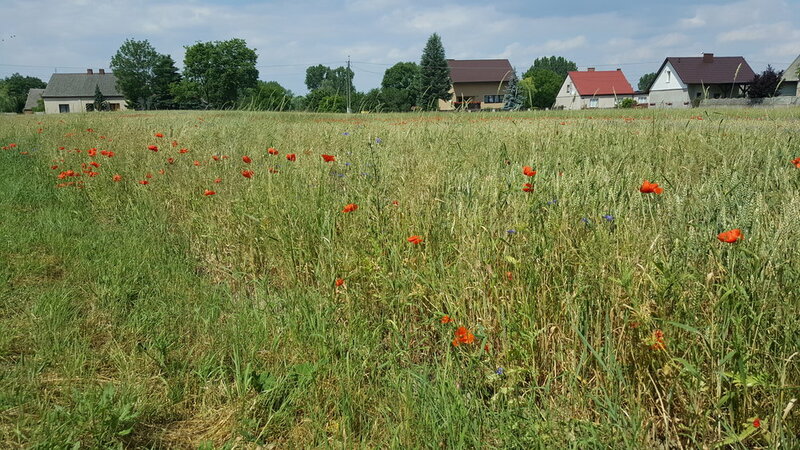 We have had some wonderful visits to Poland, but it is a very different thing from living here! HERE ARE SOME EXAMPLES - while many more Polish people speak English than in past years, there are still many others who don't - and many signs are only in Polish. 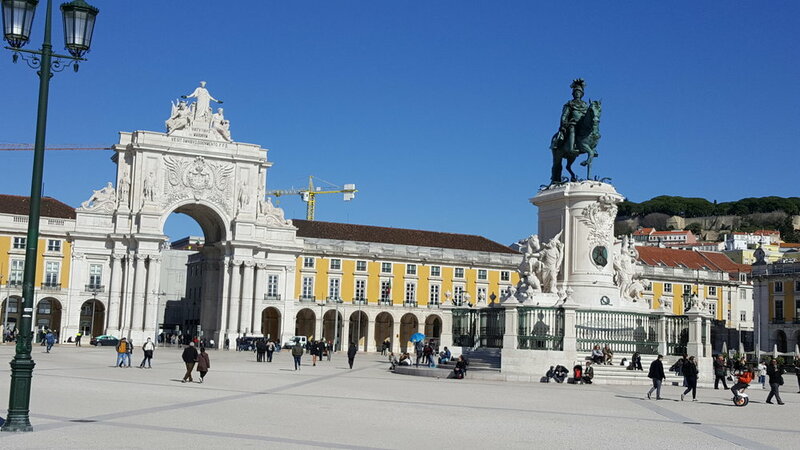 So, it is sometimes hard to know what to do in very common place situations - taking a train (not all that common in truth, where we live), buying tickets, checking out at the grocery store, reading notices posted in the apartment building lobby, etc. I am currently taking Polish class 6 hours a week - and for the first time I feel that just maybe there's a future possibility that I might actually be able to speak it someday--:) "Trzymam kciuky!" (meaning, "I'm covering my thumbs" - the Polish equivalent of "I'm crossing my fingers" for good luck!). Every day we walk A LOT. Every day we go to the grocery store. And then we walk some more...but this is actually a great thing! Yes, there are buses and trams, but WALKING + WALKING = CAKE AND MORE CAKE (one of the best parts of living in Poland!) Many simple tasks take more effort to accomplish than in America where life is so easy because you just hop in your car and go- and that is definitely different for us. 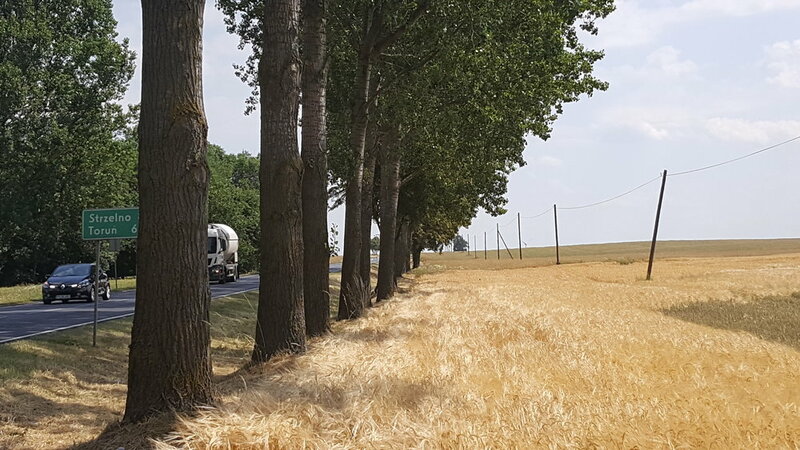 At the same time, the Polish people we have encountered who are hard working (which is all of them) seem to be enjoying life and people more - they have time for conversation, for making music, for showing strangers where to go. For instance, we have had this experience repeatedly--when we have asked for directions, rather than just telling us, people have actually stopped what they were doing to take us where we needed to go ---- whether that was a book store or a coffee machine. "NOCTURNES: Perspectives on the Work of Frederic Chopin & Kazuo Ishiguro" presentation at Adam Mickiewicz U CULTURE VULTURE club, October 24, 2017.